Agriculture is the production of food and other goods by systematic and controlled growing of plants and living organisms. Agriculture industry plays a major role in the Indian economic scenario contributing around 20% of Gross Domestic product (GDP). Around 62% of the Indian population depend on it for their livelihood. The field of agriculture include farm management, horticulture, businesses and industries that manufacture agricultural machinery, industries that buy and process farm products, banking activities for financing and developing farms, research for improving quantity and quality of farm products and so on. Nowadays, the state of agriculture has improved a lot and has become highly scientific, sophisticated and mechanized. Only a small percentage in this field are engaged in traditional farming occupation. The vast majority work as either agricultural professionals/ scientists or in business related careers, such as marketing and merchandising. The study of agriculture is termed as agricultural science. It is a multidisciplinary field which consists of a variety of scientific, technical and business subjects that promote the efficient production of quality food on the farm and in the agricultural-food industry linked to farming. 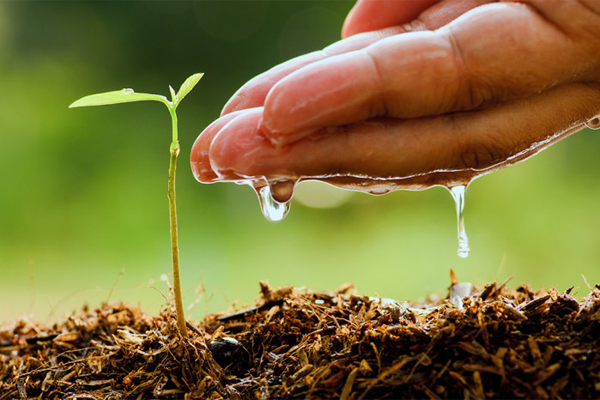 Closely related to biological science, it uses the principles of biology, chemistry, physics and mathematics to solve the problems related to agriculture. Agricultural science include research and development on production techniques; improving agricultural productivity in terms of quantity and quality; transformation of primary products into end consumer products and prevention and correction of adversities. Major areas of specialisation within agricultural science are food science, plant science, soil science and animal science. Agricultural science professionals specialize in agricultural production and livestock. They play an important role in maintaining the nation's food supply. Some of the major tasks performed by them involves improving the quality and quantity of farming; improving crop yield with less labour; conservation of soil and water; controlling pests and weeds more safely and effectively etc. In short, Agricultural scientists engage in research to discover and promote effective, practical pathways to sustainable land use, food and fiber production and food harvesting. Those who have a passion for research, development and improvement in the existing agricultural products can opt for agricultural science as their career. The courses offered by various agricultural universities are designed for students interested in production agriculture, farm management etc. which can produce trained professionals in this field. Several career opportunities exist in different areas of agricultural production, research and development, social services, business, education and the non-profit sector. Even though food production is the major phase of agricultural industry, textiles and fibers also makeup a large portion of agriculture.